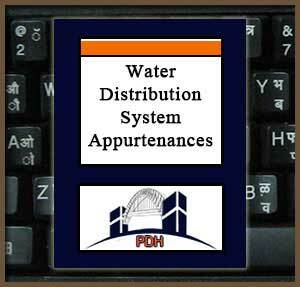 This publication contains guidance for the operation and maintenance of various types of water distribution system appurtenances. Discussed are valves and hydrants; flow, pressure and level sensors; transmission systems; indicators, registers and recorders; water meters, weirs and flumes; and backflow devices. Learn about inspection of backflow devices. This course will give civil engineers and others an introduction to the procedures and recommended schedules for devices and appurtenances in water distribution systems. This is an introduction to the operation and maintenance of water distribution systems. After completion of this course you will be prepared to begin operation and maintenance of water distribution systems.